In the days before the internet, hunting down new music was a very different process. Word of mouth, Top of the Pops and dusty record store basements were all key parts of the journey. This was back when recording and releasing music was a mysterious process, reserved only for rock gods with an endless supply of money from their record label. But times have changed. Now every teenager with a half decent internet connection and a cracked copy of FL Studios has a Bandcamp profile. Music is easy to distribute and it’s easy to come by. Perhaps a little too easy. There simply isn’t time in the day to wade through the digital tsunami of available music in the hope of discovering a new favourite band. Thanks to advances in technology, the music industry has evolved, and by extension so has the way we discover music. As mp3s muscled out CDs at the beginning of the millennium, piracy became a very real issue for the music industry. Album sales plummeted and the future of the music industry looked generally bleak. So it’s no exaggeration to say that streaming services have given the music industry a new lease of life. Last year streaming made up 65% of all music revenue in the U.S. This is only set to increase, and competition is fierce between the various streaming platforms. But the current arms race is all about how these platforms are helping its users discover music better. So how is technology helping users discover new music? We look at the technical innovations powering the smartest playlist and recommended listening. 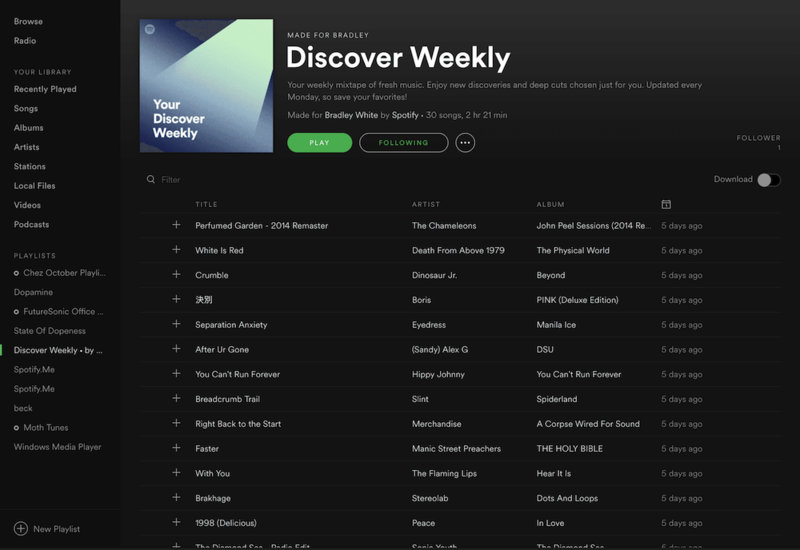 Spotify’s discover weekly feature was a big step forward for music recommendation. By looking at your listening habits, Spotify would present you with a fresh playlist every Monday. Originally this was done by analysing user created playlists and the listening habits of other users to curate a playlist. The idea being that the more you use Spotify the better suited your weekly playlist will be. But the company has been looking at refining their music recommendation tools with the help of AI. In 2017 Spotify acquired Niland, a French AI startup. Niland have developed an algorithm which ‘solves search and discovery issues by capturing musical and emotional characteristics directly from the audio signal’. Basically, this algorithm is able to ‘listen’ to songs and find music that sounds similar or evokes a similar emotion. It’s clear why this technology is so appealing to Spotify. By analysing the raw audio files, Spotify will be able to recommend music in a much more organic, human way. Hot on Spotify’s heels, Deezer has developed its own AI system for categorising music based on its mood and intensity. The system not only considers the mood of the song through how it sounds but through the context of the lyrics. Deezer’s AI takes a slightly different angle to Spotify, not only analysing the music but also the lyrics to determine whether a song is negative or positive. Ultimately Deezer’s team found that their AI was better at detecting how calm or energetic a song is than other methods not using Artificial Intelligence. The system also performed roughly the same when it came to determining whether a song was positive or negative. Although this is open to interpretation, as listeners will likely disagree on whether a song is positive or negative in tone. But while it may seem cutting edge technology, streaming platforms using artificial intelligence isn’t anything new. Pandora Radio has been exploring how big data and machine learning can create help its listeners discover new music since 2000. Each song on the service is manually assigned a number of attributes from a list of over 450. It makes sense that if you like a song, you’ll probably like a different song with similar attributes. Over the years Pandora has developed over 75 machine learning algorithms to recommend music to its users. Since 2010, Boiler Room’s YouTube channel has built its reputation as the go to place for watching underground DJ sets. From its humble beginnings as a webcam taped to the wall of a London Warehouse, the channel has become a window into club culture and the best underground electronic music. Although it started as a way to showcase London artists, Boiler Room has expanded to bring its viewers sets from all over the world. But Boiler Room has gone a step further in bringing the club experience to its viewers. In 2017 they created the world’s first VR nightclub. Visitors to the virtual club were able to watch the performance, move around the dancefloor and even explore hidden rooms. There’s nothing better to spur you on when going for a run than the perfect soundtrack. But why waste time painstakingly crafting the perfect playlist when your phone can do it for you? RockMyRun is one of a number of apps which constructs a running playlist for you, you just need to enter the tempo and genre and the app does the rest. But while other apps pull from your personal music library, RockMyRun can pull up songs that you’ve never heard before which is an excellent way to find new tunes to add to your workout playlists. But what about when you hear song in the wild? If song catches your ear in a restaurant or bar or wherever, all you need to do is whip out your phone and use Shazam or SoundHound to identify the song for you. Gone are the days of clinging to a probably misheard lyric in the hope of identifying the song at some point in the future. Shazam works by recording a short clip of the song using your phone’s inbuilt mic before comparing its enormous database of music to find a match, no matter which section of the song you actually record. They’ve even released a desktop app which will identify the music in the background of films and YouTube videos. With the help of technology, music discovery has become a much more passive process. No longer are you having to go out of your way to find new music, but instead it’s presented to you on a plate. But where is music discovery heading next? 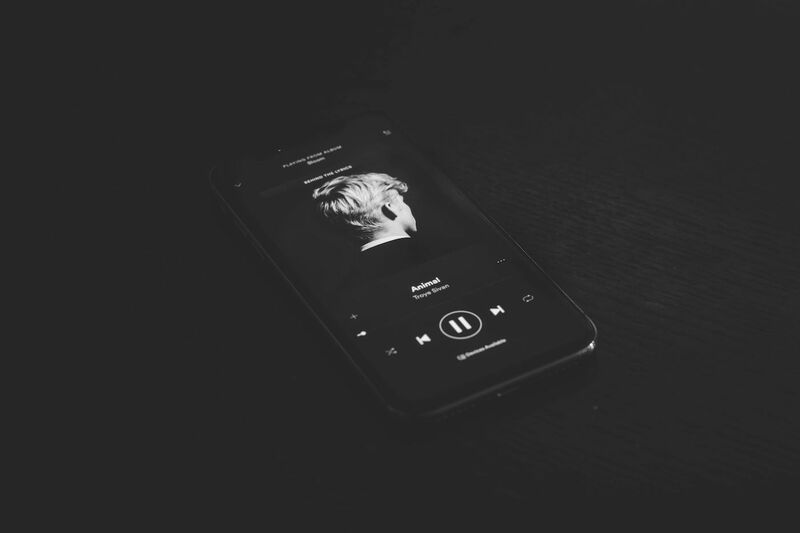 As audio software developers continue to dream up innovative new music discovery technologies, streaming platforms are still likely to push forward on the music recommendation front. At this point we’re only going to see the AI technology being used by streaming services become more refined. Or perhaps we’ll see more companies investing in VR technology like Boiler Room to add a more interactive element to the music discovery process.